Recently, we hit a podcast milestone with episode #50 of That Bad Review, and we celebrated in style, by speaking with my esteemed guest Bill Walshe. Bill is the CEO of the Viceroy Hotel Group, where he maintains a portfolio of luxury hotels and resorts, from their headquarters in Los Angeles. After watching his exceptional TEDx talk, I wanted to dive into some of the major points he covered – points which have since influenced me and how I run my own business. Pride is what separates excellence from mediocrity. We all love making someone proud, it’s an ingrained human condition. Pride, it holds so much power, and there is definitely space for it in the hospitality industry. Job pride among staff can have an extraordinary effect upon so many factors at work, such as productivity, staff morale, staff retention, lessened absenteeism and lower staff turnover. “If you have people working in your organisation who are proud to be there, then great things happen,” Bill explains. If your staff are excited by their job, then they’re more willing to deliver top tier service. This feeds through to a memorable experience for customers, who could potentially become proud advocates for your brand. If they drop the F-bomb then you have most certainly failed to deliver as a service provider. 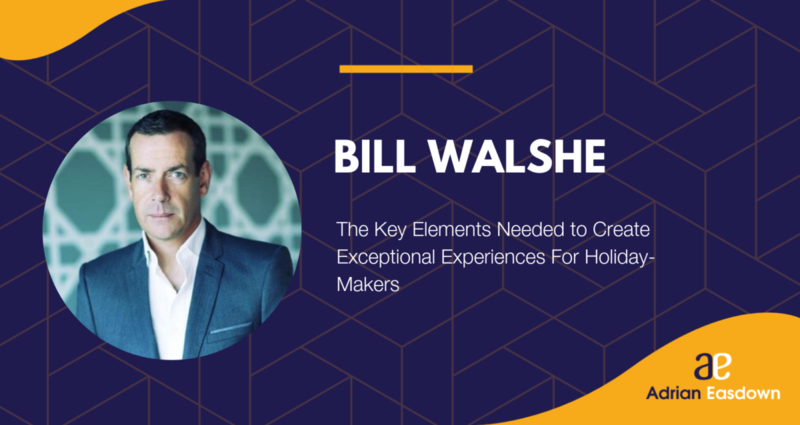 As a leader, Bill sees that it’s his responsibility to understand which areas need improvement, so he can deliver and develop a more effective business. He explains his unorthodox approach to obtaining feedback from staff is by tactfully changing the questions he asks. “George, how are you doing?” Isn’t something you’ll hear him say. To change the dynamic and encourage a better thought out the answer he may ask “George, how proud are you today?” This automatically opens up the potential for honest dialogue and business altering feedback. The customer follow up is generally a token gesture every management level employee has had to engage in at some point. While it leaves some with the feeling of dread, Bill feels, “Nothing ever bad will come from conversations with people.” When conducting the follow-up call take it outside the norm and phrase things differently, “I was wondering if you want to be the general manager for the next 3 minutes and see what you would do differently?” Is another of Bill’s inventive phrases. They’ll be stumped for a few seconds, but it’s a friendly approach that will get you some prime feedback. Pride in the hospitality industry is not a sin, it’s a necessity. It has knock-on effects, if you are proud of what you do, others will mirror that.